Surveying, Preparing for tomorrow, with the excellence of today! Having served the Bloomsburg, Pennsylvania area since 1997, HSS Land Surveyors LLC is a licensed and insured professional surveying company. We have performed countless surveying projects and have established ourselves as a reliable, professional, and capable company. We can handle any size job, whether you want one acre or thousands of acres of land surveyed. At HSS Land Surveyors LLC, our most important job is building a strong, trusting, long-lasting relationship with our customers. We know that the only way to keep our clients satisfied and bringing their business back is through honesty, respect, fairness, and commitment. 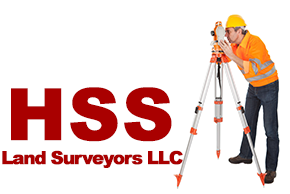 We at HSS Land Surveyors LLC will provide complete, accurate surveys in a timely manner that fits your schedule. You will always be kept in the loop on the progress of your project as it moves along. We use the latest electronic data collection equipment and conversion software in all of our field work. The result is that you always get professional, high-quality plans and maps. We are ready to start your project now! Call us today to speak with one of our professionals!